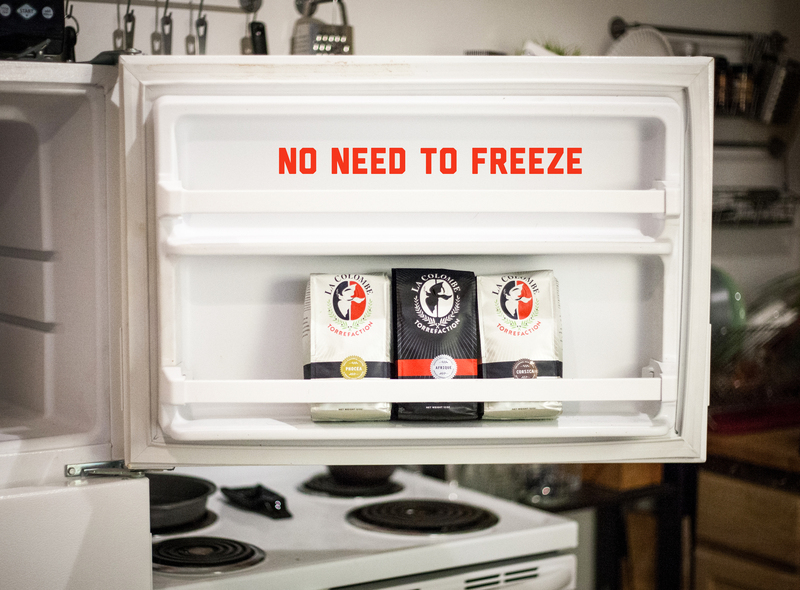 One of the most common questions we get is whether or not you should store coffee in the freezer to keep it fresh. We don’t know how this old wives’ tale got started, but we’re here to end it. Storing your beans or grounds in the freezer is not the best way to keep your coffee fresh. Freezing coffee dehydrates it and saps it of some of its natural flavors, replacing it with the flavors of whatever is currently molding in your fridge or freezer. Coffee is like a sponge, it soaks up whatever is around it. To keep coffee fresh for as long as possible, watch out for UV rays, oxygen, odors/aromas, humidity, and time passed since roasting, because these factors can really mess up your coffee. The best way to store coffee is in an airtight container (like our Evak storage canister) in your pantry or cabinet. The key is getting it airtight to protect your coffee. Or just drink your coffee faster. No more of this freezing nonsense. Seems there’s still room for freezing (through empirical evidence), though with a major caveat. If you grind your beans, you can freeze the grounds. However, if you’re this serious about coffee, you’re grinding your beans immediately before consumption, and probably only enough for what you’ll drink. You still need an airtight container regardless. After asking about this, I think last year, an airtight container was recommended for our beans’ ever so temporary storage. It works like a champ! The container make a vacuum every time it closes and the beans stay fresh from start to finish. Thanks!